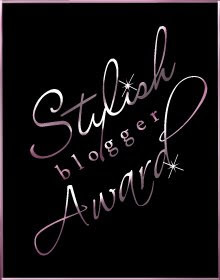 I can’t be doing too badly in the style stakes as my blog has won the Stylish Blogger Award. This will be my second blog award and I feel quite a sense of achievement! This award was given to me by the gorgeous Christina Marie over at Christina Marie Says… so thank you honey! 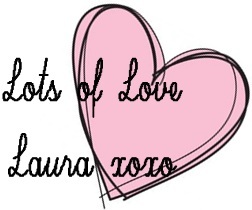 I love her blog because she does some great reviews, particularly of Lush products which I adore. 1. I’m stupidly excited for the summer. Last year, I worked Sunday to Thursday 5 until 10 which meant that I couldn’t enjoy hot summer afternoons and the light nights and I couldn’t enjoy the hours before I went to work either as I was just thinking about going to work all day! This year will be different. 2. I start my new job on Monday. Its isn’t a graduate job or doing something in my degree field but I am actually quite looking forward to starting. The money and hours are MUCH better than at my last job and the place ill be working in is literally just around the corner. On paper, it looks like it will be the perfect job and I really hope that it lives up to it. 3. I’m kind of at a standstill with my career and education at the moment. I have a degree in Criminology and I am doing a graduate diploma in law at the moment which, if I wanted to, I could continue on to become a solicitor… but that’s just it, at the moment, I don’t know if I want to. The fees at uni are already really high and I just don’t know if I could face another few years of study. I know that it will all be worth it in the end but I cant help but think I’m going to skint myself for years and years for a job ill never be able to leave at the door, ill work long hours with little time for a family life and have a huge chunk of student loan repayment fees taken out of my pay every month. Part of me just wants to have a job I can earn some honest money at and work my way up, gaining experience on the way. I have another year and a half left of the GDL so I’m going to see how I feel after that. 4. I don’t really watch many American TV programmes but I absolutely LOVE Pretty Little Liars (Virgin Channel 313 VIVA). Its fast paced and fully of mystery. Its great! 5. I would love to be one of these uber stylish girls but quite frankly, I cant be bothered. I just like to be comfy. 6. I don’t have any tattoos, mainly because I’m not a fan of paying for pain. Part of me really wants one though, but I would want like ‘Love’ with a heart at the end on my wrist. 7. I didn’t go to my school prom; I chose to go to Tenerife instead. I love that place plus I didn’t see the point in paying to sit in a room with a load of people I don’t like!